We are delighted to be exhibiting artwork by Philip Maltman at Vintners Place, London. I extend my experience of the world by making art. 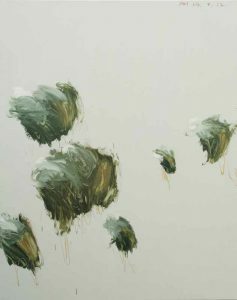 This invariably results in chaos, sometimes in an acceptable order, which can be called a painting, and is about mark making, drawn, painted, scratched, gouged, flooded, scrubbed, stuck, dried or dusted. The mark is paramount whether accidental or deliberate and is recognised as an attempt to convey an accident of passion before secondary concerns of deliberate representation or composition. Drawing comes first, but photography is often my most immediate form of mark making being instant and comprehensive in trapping the ephemeral. I make work, which is about objects or marks on surfaces; my main area of interest is in the aftermath of interruptions in nature. This can be as direct as looking at a beach at low tide or as indirect as using astronaut’s photographs of the earth from space. It can also feature references to the residue of history or the discoveries of science. Robert Motherwell suggested an “External and internal scanning of the world in which, finally, the subject is not the world but the artwork itself”. In my view this may in turn extend the viewers experience, and enjoyment, of the world. Philip trained at Hornsey College of Art and Ravensbourne College of Art & Design. 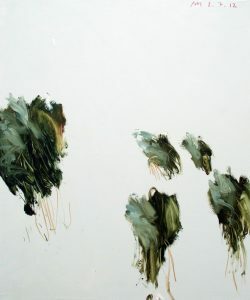 He has since exhibited at galleries throughout the UK, including the Royal Academy in London.